Do you love acronyms? Red5 Pro just brewed an entire pot of alphabet soup. Those that have spent a few minutes browsing our documentation, find that there are quite a number of terms and acronyms. Even beyond general programming jargon, there are a few terms more specific to the live streaming industry. Thus, we decided to gather all those terms together to make sure we can call everything by the proper name. Hopefully, this will reduce some confusion as you through our docs and communicate with our support team. Speaking of which, make sure to check out the last section, "Video Streaming Issues" for some useful terms to help describe any problems you see. Check out our Glossary here. 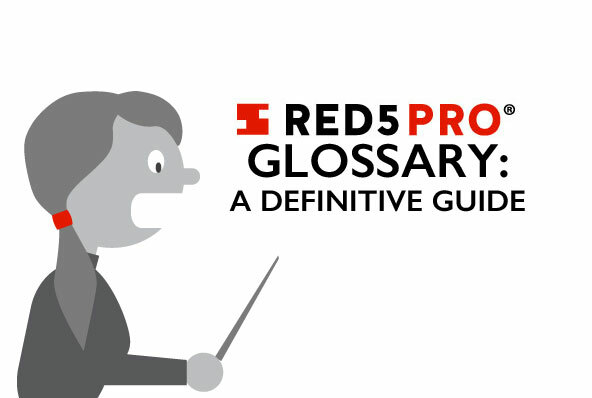 As always, if you have any questions, please use your new vocab words to send a message to info@red5pro.com or schedule a call with us. We'd love to hear from you!